Edited 1 time(s). Last edit at 2019-04-05 11:06 by bv. thanx for the good news,just rest up Mick. Great news! Thank you, Roger! Excellent. Thanks for the update. Steady rolling Mr. Jagger. I'm so happy tonight ! 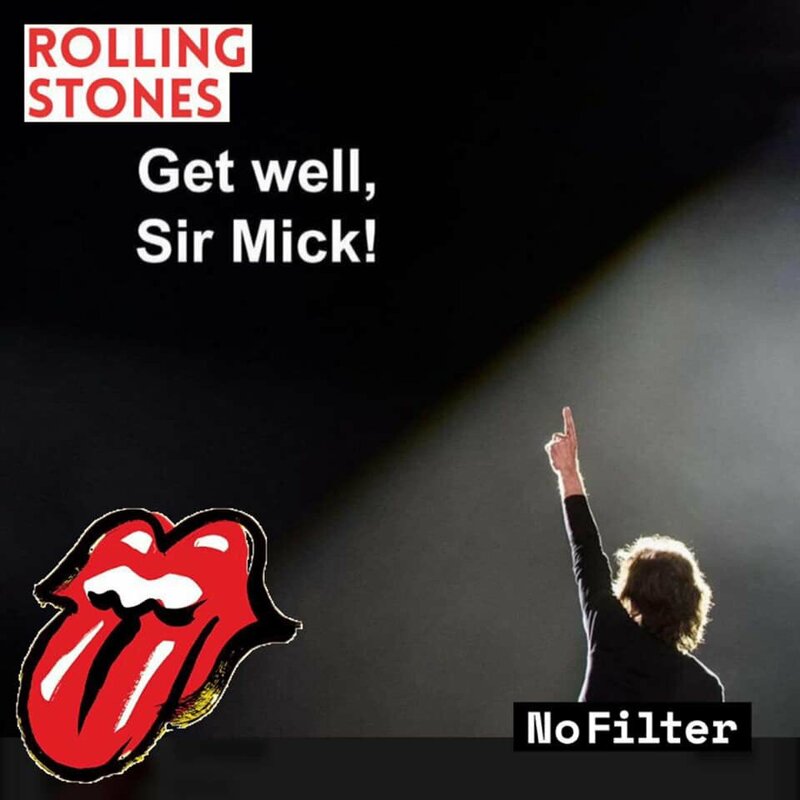 Get well, Mick ! Hopefully Mick decides to shut it down for the year and rest. Put that big ego aside, don't listen to your head, listen to your heart, its trying to talk to you. Excellent news and that saves the wait for what we'd been told was supposed to take place on Friday. Get well soon Mick! We Love you! Aint that good news …… take it easy Mick …. Wonderful news. Wishing for a healthy recovery! Nice to have some good news. Hope the recovery goes every bit as well. Get well soon Mick! Great news! Hope his recovery goes well. Great news Mick, you're gonna be fine! Gracias diooos !!! Estoy llorando amigos ! Te amooo con mi vida y más Mick !!! Sos lo que me da felicidad desde que tengo 9 años !!! Yes! Here’s to a speedy, easy recovery, Mick! Wow. I thought it was tomorrow. Good to know it's done and he's alive. Great news! Hoping for quick uneventful recovery.